I have created the above word cloud out of the “Favorite Boolean Strings” submitted by the members of our Boolean Strings Sourcer’s Network on the Ning platform. If you are a member, you can see everyone’s “Favorite String” when looking at their profile. You can also search for members’ search strings in the Member search dialog. Prompted by the recent “Boolean Strings Basics” webinar, I took a look at this crowd-sourced library. Here are some data and reflections . Here are some observations on this crowd-sourced String Library. 1) Some search syntax has changed since members had posted their Boolean Strings. For example, the tilde ~ no longer works as a special symbol on Google. using an asterisk * as a wildcard (to look for part of a word) on Google. I’ll publish a separate post about the most common Boolean Syntax mistakes. 3) The operator OR is overused. In some rare cases, perhaps more on LinkedIn than on Google, long OR statements continue to make you productive. In many cases of Googling, they would not. The syntax is correct… However, these search strings were useful about 10 years ago – they rarely provide anything useful these days. Why? Few people publish their online resumes outside of some social networks or sites like about.me. 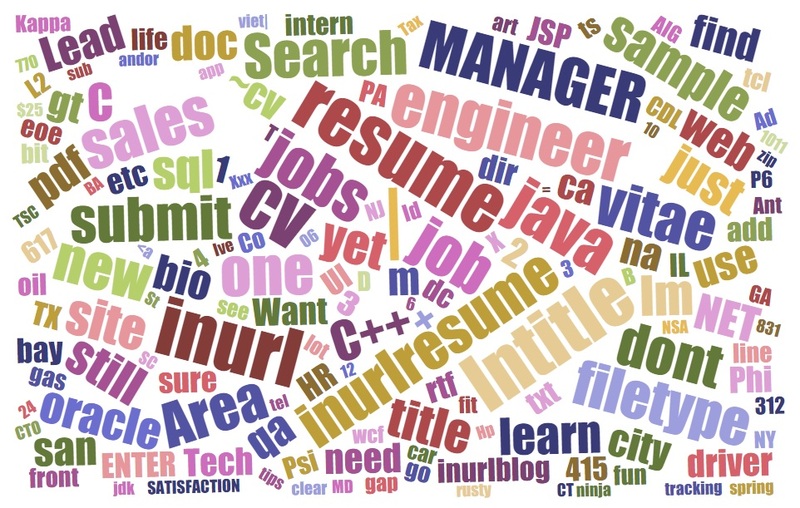 Many vendors, who know how recruiters search for resumes, have flooded the internet with the sites having “resume”, “CV’, and “vitae” as part of their site URLs- only to try and get you in and pay for their services. There will be another blog post about that. Let us know? Please edit yoru string on the Ning profile and please share on the Forum or on our LinkedIn Boolean Group. If you “borrow” one of the strings published somewhere, just make sure they follow the current search syntax and produce useful results.